Trade finance is one of the oldest and traditional financing which most banks around the globe have been offering for a very long time. It contributes significantly towards the gross domestic product; for example services relating to the construction industry and goods imported and exported around the globe are all, in one way or another, making use of products and services related to trade finance. Malta, for example, exported €3.256 billion and imported €6.114 billion worth of goods during 2018. Classical trade finance products include letters of credit, standby letters of credit, transferable letters of credit, back-to-back letters of credit, bank guarantees, collections, international payments and bills discounting. These are off-the-shelf products and are sometimes simply referred to as plain vanilla products. Naturally there are much more complex products and services falling under the umbrella of trade finance that are structured according to the needs of customers, such as warehouse or storage tank, bill of lading, and freight forwarder cargo receipt financing. 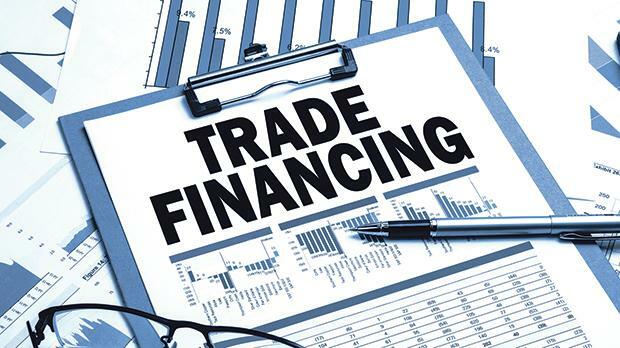 If one has to delve deeper into this dynamic subject, then one may split trade finance into pre and post shipment financing that offers the ideal funding according to the transaction presented. Gone are the days when a banker used to be a mere order-taker. In today’s competitive and digital world, a banker has to shift from an order seeker to an order maker, where the product or service being offered must be tailor-made according to the actual needs of customers. Trade finance is considered by many credit analysts as one of the least risky financing from a credit risk perspective. It goes without saying that it has to be structured well and handled by experts. In fact during the global financial crises of the 2008, banks involved in trade finance went relatively unscathed. Structured trade finance focuses on the goods that are being financed and considers them as the main collateral. It is self-liquidating. Putting it simply, the trade finance exposure is settled by the liquidation of the underlying goods. The beauty of such financing is that the credit risk shifts from the obligor to an off-taker (preferably more than one) who should be an acceptable receivable to the financier or backed by a strong banking instrument. Some financiers consider this as off balance sheet financing, considering that it is an asset-backed lending, which is safer than simply relying on the creditworthiness of the borrower/obligor. Naturally the underlying goods have to be controlled by and to the order of the financing bank. The appropriate legal mechanisms should be in place so that the financier has the legal and not only equitable title to the underlying goods, with legal powers to liquidate in case of need. In addition to that, the underlying goods must be ring-fenced from any past or future creditors. The financier has the additional comforts such as cash margins, marine and storage insurance, irrevocable assignment of proceeds, payment undertakings by the off-takers/end users and collateral management agreements. One can safely state that this type of trade financing is an ideal win-win scenario, whereby the borrower is getting the right type of financing while the financial institution is earning a fair return on the risk-adjusted return on capital. Trade finance undoubtedly has its own challenges. One cannot undermine the importance of the stringent regulatory requirements that surround this field and the importance of embracing such challenges. Financiers need to breed a culture of compliance with such regulations not merely to satisfy regulators but also ensure that they are not used as a vehicle for illegal or criminal activity. Bank of Valletta has contributed heavily towards Malta’s export and import figures and is well geared to handle even larger volumes. BOV’s fully-fledged Trade Finance Centre provides both off-the-shelf and complex products tailored to customers’ requirements. It has the right mix of knowledge, skills and in-depth expertise to provide the tailored trade finance solutions, designed to protect the interest of its customers and create value that drives them to success. Joseph Rodgers is a seasoned banker with over 30 years of experience in trade finance both locally and abroad, a trade finance trainer and key speaker and executive head of the BOV Trade Finance Unit. All trade finance products are subject to approval by the bank and may be affected by changes in currency exchange rates. Terms and conditions are available from www.bov.com. Issued by Bank of Valletta plc, 58, Triq San Zakkarija, Valletta VLT 1130. Bank of Valletta plc is a public limited company regulated by the MFSA and is licensed to carry out the business of banking in terms of the Banking Act (Cap. 371 of the Laws of Malta).